Most people don’t think about Sisaket when they plan a trip to Isaan, and that’s quite understandable: With places like Udon Thani, Khon Kaen or Buriram there are just so many other, more prominent places to visit, and even Nong Khai gives people a clearer imagination of what to expect when going there – the beautiful Mekong River Promenade. But how about Sisaket? 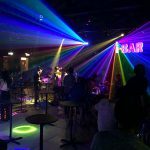 Well, you might have heard guys (or girls in the bars) mentioning it along with Surin, its neighbor province. 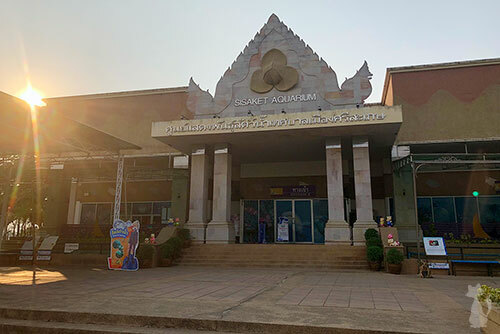 And while they both share similar aspects in terms of culture and people (many of them speak not just Thai and Isaan, but also Khmer, and there are also many Khmer temples spread over both provinces), Surin is known as the “land of the elephants”, while Sisaket is famous for its magnificent national park along the Cambodian border. 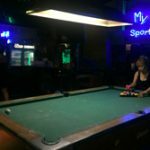 I’ve already talked about the nightlife in Sisaket in my previous post, so today I will show you the most fun and beautiful places to visit during the daytime. Luckily, I met a local girl in the park who took me to all these places – some of which I wouldn’t even have known about by researching on the internet. 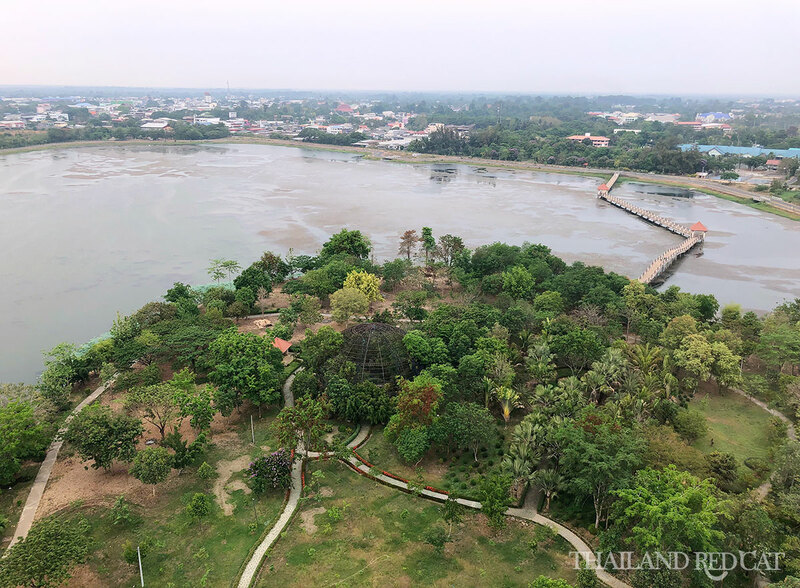 There isn’t really anything much to do or see in Sisaket town, but the place that compensates for that is the beautiful Chaloem Phrakiat Park. It’s a huge park with a massive lake and an island, which is connected by a bridge. You’ll see lots of local Sisaket people jogging and cycling around the park in the evening, but it’s the island where you’ll want to go. The Chalermprakiat Tower is really the must visit in the park, just note that it has the same limited opening hours like the aquarium – 10am to 4pm. The entrance fee is 40 Baht for foreigners and 20 Baht for Thai people. Once you took the elevator upstairs, you’ll get amazing 360 degree panoramic views of the park, Sisaket town and the countryside. Pha Mor E Daeng is the main reason why I wanted to visit Sisaket. In fact, it’s culturally so significant that they even made it a national park and charge foreigners a whopping 400 Baht entrance fee (Thai people pay 40 Baht). 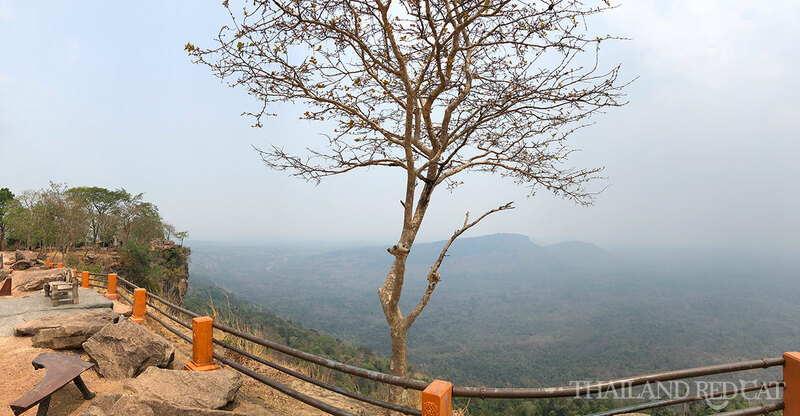 Look at the picture above: The view point atop the mountain is the Thai side, and the whole valley down on the other side is Cambodia. But there’s a more thrilling aspect to this place: The disputed Temple of Preah Vihear is located a few hundred meters from that view point, also on top of the hill. It’s an impressive Khmer temple (and even a UNESCO World Heritage Site), and at the moment it belongs to Cambodia. However, there are still issues on the territory surrounding the temple, which both sides claim is theirs. You will see several Thai army camps in the area, and you can even use the binocular to get a closer view of the temple – unfortunately it’s currently not allowed to cross the border to Cambodia from here to visit the temple. Make sure to check out my video below where I show you all the highlights of Pha Mor E Daeng. 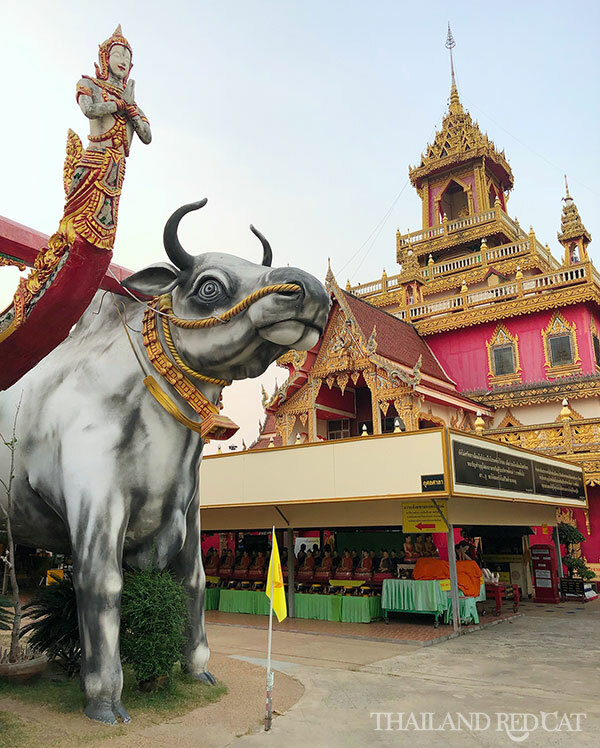 If you are disappointed that you couldn’t visit the temple at the Thai-Cambodian border (see above) – don’t worry, there are several other, beautiful Khmer temples in the Sisaket province to be admired. The most famous, beautiful and best preserved among them is Wat Sa Kamphaeng Yai (picture above). Look out for the cute myna birds (nɔ́k îang, นกเอี้ยง), you can also see them in my video. Two of the most beautiful Thai temples in Sisaket are Phrathat Ruang Rong (right picture) that features lots of nice animal sculptures (most notably the two massive cows) and has a beautiful view point on the top, as well as Wat Phra That Suphannahong whose Buddha images are housed in a Thai style boat on a pond. There are no entrance fees at these temples. 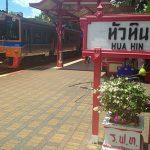 Train: There are 8 daily departures from Hua Lamphong, Bangkok (4 day trains and 4 night trains). Time table and prices are available here. Bus: About hourly departures from Chatuchak Bus Station, Bangkok, from 500 Baht one way. Just buy your ticket at the station when you want to go.